There's no tennis court (much to our surprise), but there is a gym in the house Serena Williams has owned since 2006. There’s no tennis court (much to our surprise), but there's an incredible gym in the house Serena Williams has owned since 2006. The gym, while spacious, isn’t anything too elaborate — just a perfect place for a quick workout. 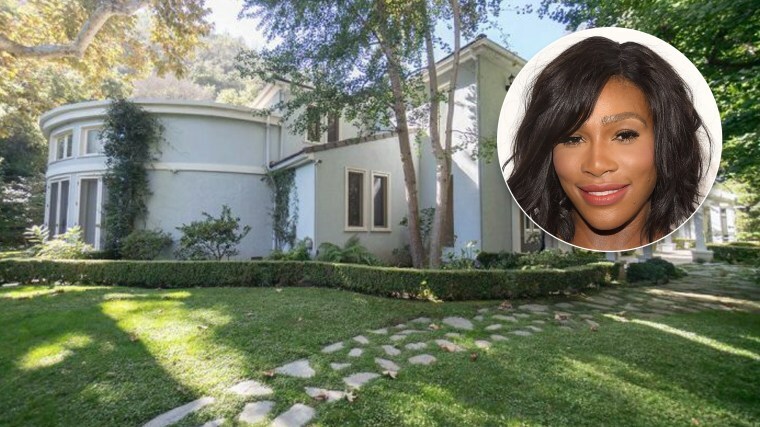 But the rest of the home, which Williams has recently listed for sale at $12 million, is a luxurious place to recharge with some pretty sweet amenities. Built in 1935, the 6,101-square-foot traditional home is located on 2.7 acres of lush land in the Stone Canyon area of Bel Air. A long, covered walkway guides guests to the house, which is perfect for entertaining. A large living room is flooded with natural light thanks to a wall of floor-to-ceiling windows. The home features tile floors and recessed lighting, although there are plenty of chandeliers throughout as well. The inviting kitchen features dark wood cabinets and stainless steel appliances. We imagine Williams whipped up some healthy treats in there to keep her energy up. And when she needed to wind down, we bet she hung out in the gorgeous master suite that features a luxurious bathroom complete with a stand-alone shower and clawfoot bathtub. In total, the home has six bedrooms and seven bathrooms. There’s also a private salon and bar area. Outside, there’s a sparkling swimming pool where Williams could stay active and a lounge area where she could entertain friends and family. This home will soon have a new owner while Williams and her family move on to something new. She and her husband, Reddit co-founder Alexis Ohanian, just purchased a $6.7 million newly-built five-bed, seven-bath home in Beverly Hills. Interestingly enough, the new place doesn’t have a tennis court either — perhaps she wants keep her home and work life separate? See more pictures of Williams’s new and former homes at Trulia.